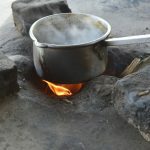 Newbies to camping often worry about what to cook when they don’t have the convenience of a kitchen. 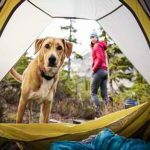 Luckily, your camping excursion never has to be boring or stressful when you know a few of these stress-free recipes. Mouth-watering, delicious and super easy. Simply crack some eggs into a large, zip lock bag and add all the fixings. 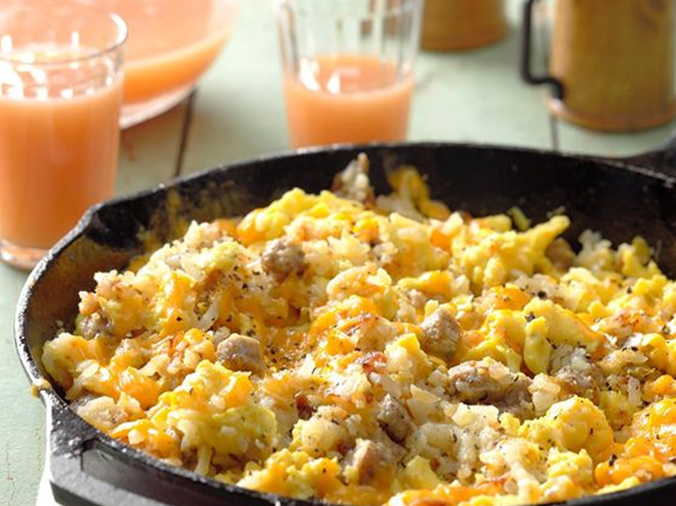 Add sausage, tomatoes, butter, frozen hash browns, salt and pepper and cheese. Keep cold. When you’re ready for a great breakfast, pour into a hot skillet and cook until done. 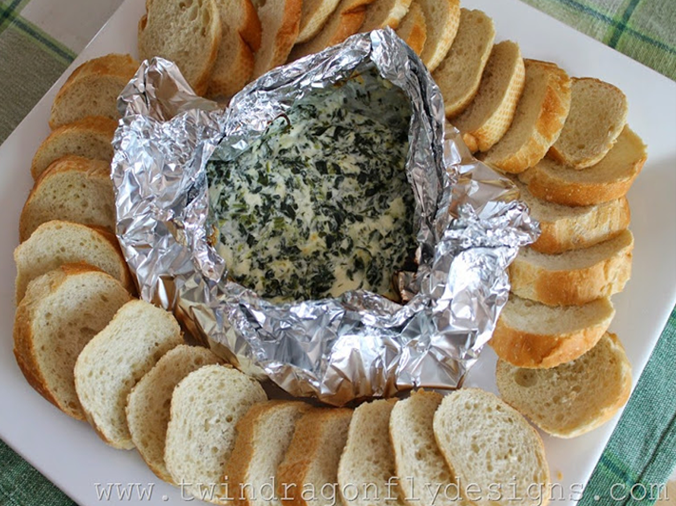 Slice a French baguette and serve it with this yummy spinach dip around the campfire at happy hour – or as a snack or light lunch or dinner. Only four ingredients – frozen chopped spinach (drained), Parmesan cheese, cream cheese and sour cream makes this tasty dip (served in foil) that your campers are sure to rave about. Kids and adults will love these gooey campfire desserts make with all that goes into a S’more – but more. 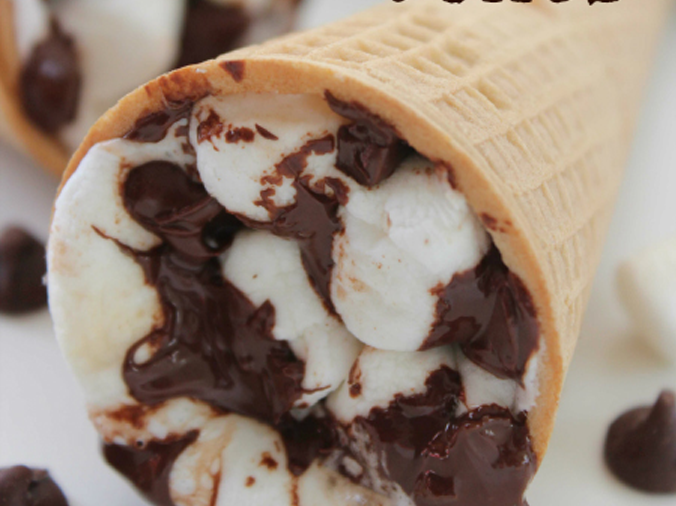 Stuff a waffle cone with marshmallows, chocolate, bananas, raspberries, nuts or anything you can think of to customize it. Wrap in foil and toss it around in the campfire coals for about five minutes until melted. Peel back the foil and enjoy. Choose your favorite bag of chips and slit open on the side. Fill with taco stuff such as hamburger with taco seasoning (can be pre-cooked at home), cheese, tomatoes, lettuce, jalapenos or anything you may want in your taco. Eat with a plastic fork and you’ve got an entire meal with no messy cleanup. 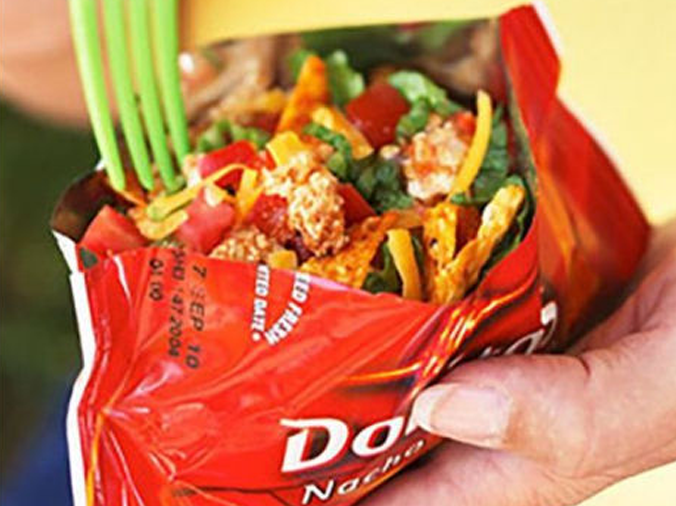 It’s a great camping meal, but you’ll also get requests for these nacho bowls at home. You can prep some of the ingredients at home. Cook chicken with onion and other ingredients. 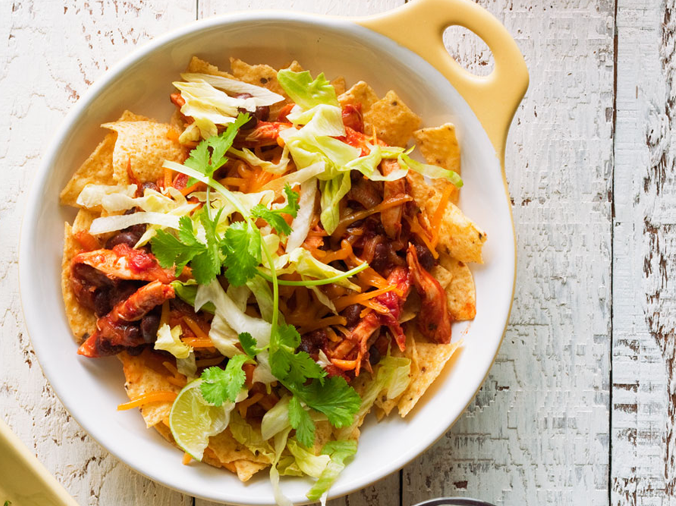 When you get ready to serve, put tortilla chips in bowls and top with heated chicken mixture. Add lettuce, cheese or any other toppings to customize. 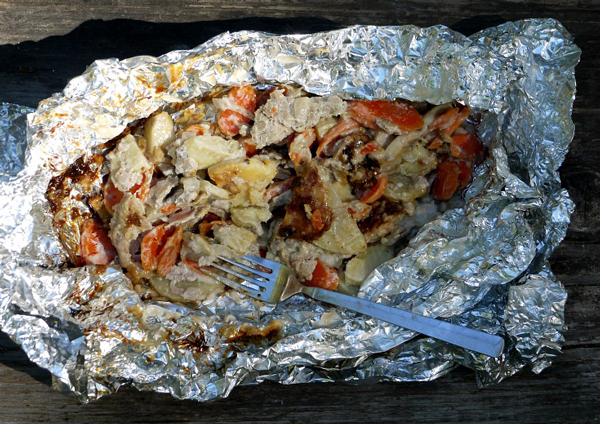 You don’t have to do without a luxurious meal when you’re camping. 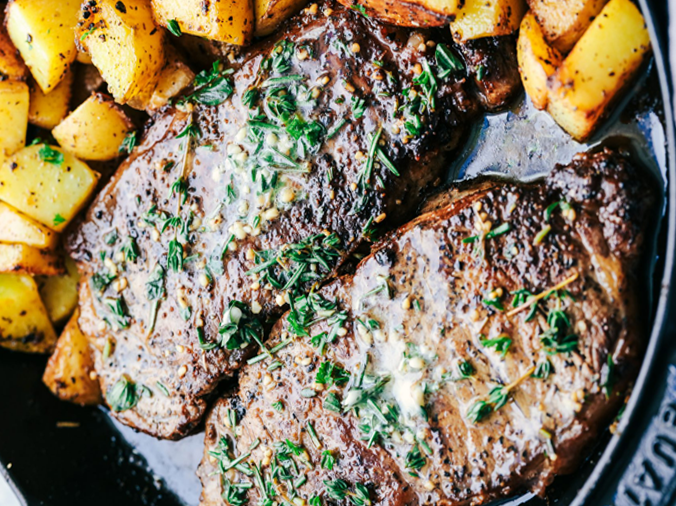 This steak and potatoes dish can be prepared exclusively in a campfire skillet. Mix the butter compound together before you leave home and slather it on the steak when it’s done. Lentils can take the place of meat to provide protein and flavor to burger and a healthy meal for your family. 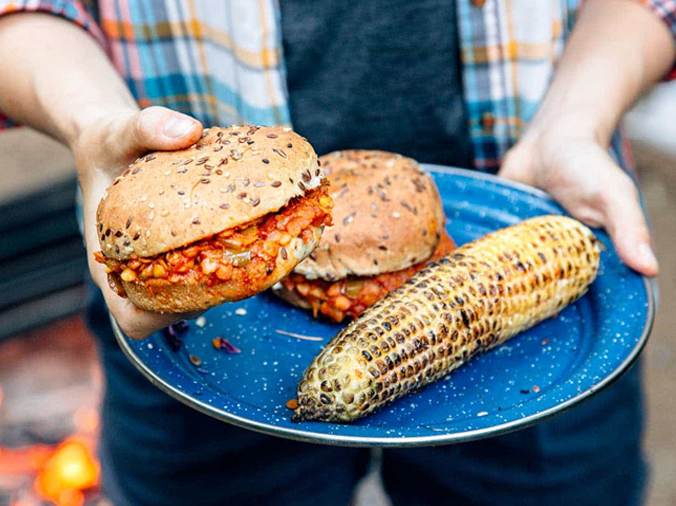 These burgers include everything from Anaheim peppers to maple syrup – or make it to your own family’s taste. Easy and delicious. 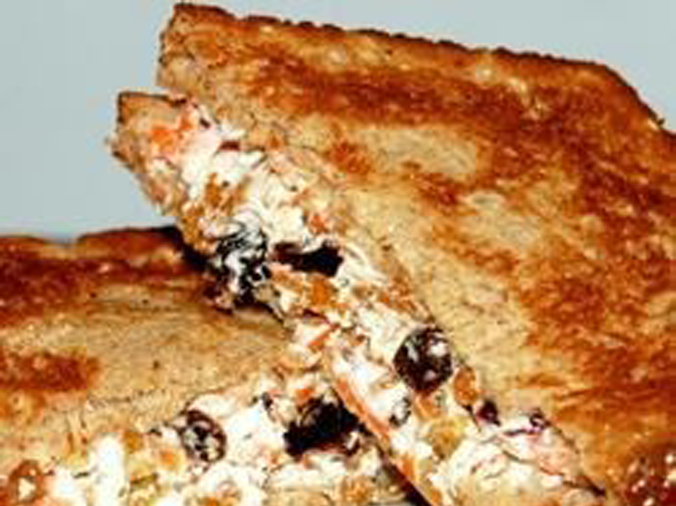 A great choice for any adventure, these trail-mix sandwiches are chock full of good things like trail-mix, cream cheese, raisins and lemon juice on toasted, whole wheat bread. Perfect to take on-the-go. 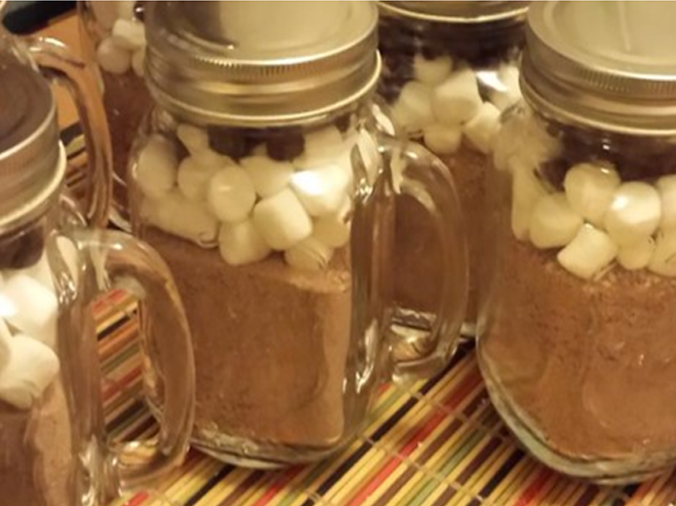 Cool nights around the campfire are wonderful occasions to have this hot cocoa mix available. Simply mix the powdered milk, cocoa, powdered sugar and other ingredients and load into Mason jars with lids. When you’re ready to serve, add one cup of boiling water to a 1/3 cup of the cocoa mix and enjoy. 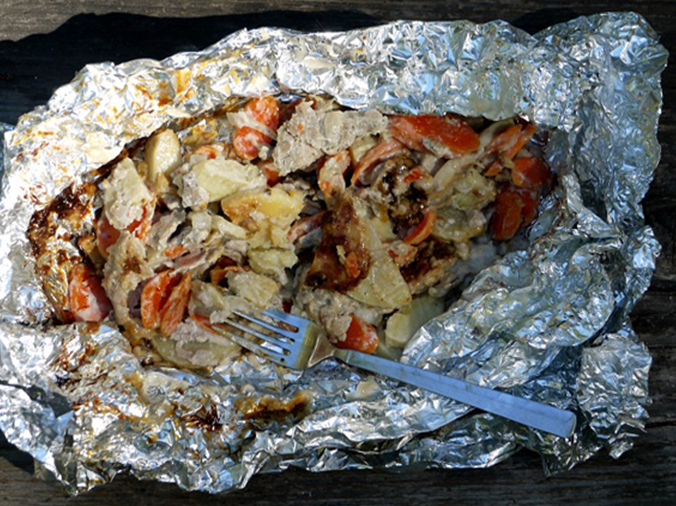 These are all great meals, snacks and desserts that you can make any time you’re camping. 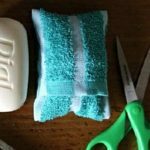 When you prepare much of the ingredients at home, it takes most of the stress away from deciding what your family will eat and what you need to purchase along the way. That leaves more time for you and your family to bond over experiences you don’t usually have during day-to-day living. Getting back to nature, telling stories and enjoying the fresh air are precious moments you can give your family without having to worry about meal prep.